Golden Village Closing Bash for you! THANK YOU for 5 awesome years! 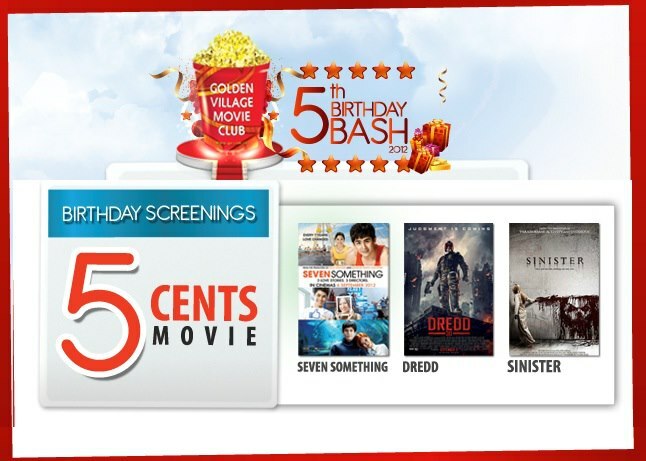 • 5 Cents per ticket only payable by at respective GV Box Office (walk-in only). • Sale of tickets starts at 5pm at the respective cinema box office. • Limited to 1 ticket purchase per member (in-person).